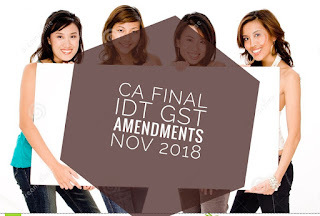 Here we are providing the CA IPCC Auditing Amendments and CA Final Advanced Auditing and Professional Ethics Amendments for November 2016 and May 2017 exams. In the previous post, we have listed out all the amendments applicable in Tax and Company Law Topics. Every Audit report made by an auditor u/s 143 of the Companies Act, 2013 relating the accounts of every company audited by him/her, to which this Order applies, for the financial years commencing on or after 1st April, 2015, shall in addition, contain the matters specified in paragraphs 3 and 4, as may be applicable. In the early months of 2016, the government has notified the CARO 2016. As this notification has come before April, CARO 2016 will be applicable for the upcoming Nov 2016 and May 2017 CA IPCC Exams. In the beginning months of 2016, the government has notified the CARO 2016. As this notification has come before April, CARO 2016 will be applicable for the upcoming Nov 2016 and May 2017 CA IPCC Exams. Amendment in Inventories part: Auditor need to collect necessary evidences to ensure that physical verification of inventory has been conducted at reasonable intervals by the management and discrepancies were noticed has been dealt with in the books of account. Amendment in Deposit under CARO: Definition of the deposit as per companies act is so wider like advance received from customers and not adjusted up to or more than 365 days become included under the definition of deposit. Various other transactions are fall under that category.